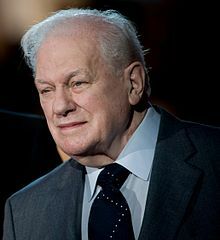 چارلز دارنینق (اینگیلیسجه: Charles Durning) آمریکالی اوْیونچو. آمریکادا دۆنیایا گؤز آچیب. ۸۹ ایل عؤمر ائله‌ییب و ۲۴ دسامبر ۲۰۱۲ میلادی تاریخینده وفات ائدیب. 1945–2012 ایللر آراسیندا سینما ساحه‌سینده چالیشیب. 1973 All in the Family Detective Episode: "Gloria the Victim"
1975 Barnaby Jones Don Corcoran Episode: "The Deadly Conspiracy: Part 2"
1981 Great Performances McMahon Episode: "The Girls in Their Summer Dresses and Other Stories"
1982 American Playhouse Retired Man Episode: "Working"
1985 Amazing Stories Assistant to the Boss Episode: "Guilt Trip"
1985 Tall Tales & Legends Uncle Doffue Episode: "The Legend of Sleepy Hollow"
1986 Amazing Stories Earl Episode: "You Gotta Believe Me"
1997 Early Edition Psychiatrist Episode: "A Regular Joe"
1998 Homicide: Life on the Street Thomas Finnegan Episode: "Finnegan's Wake"
2000 The Hoop Life Wes Connelly Episode: "The Second Chance"
2000 Early Edition Judge Steven Romick Episode: "Time"
2001 Arli$$ ن/م Episode: "Fielding Offers"
2001 Citizen Baines Clifford Connelly Episode: "Three Days in November"
2003 Touched by an Angel Father Madden Episode: "The Root of All Evil"
2004 NCIS Corporal Ernie Yost Episode: "Call of Silence"
2007 Monk Hank Johansen Episode: "Mr. Monk Goes to the Hospital"
اینگیلیسجه ویکی‌پدیاسی‌نین ایشلدنلری طرفیندن یارانمیش«Charles Durning»، مقاله‌سیندن گؤتورولوبدور. ( ۲۲ ژانویه ۲۰۱۸ تاریخینده یوْخلانیلیبدیر). قارداش پروژه‌لرده چارلز دارنینق گؤره داها آرتیق بیلگی‌لر تاپابیلرسینیز. بۇ صفحه‌‌ سوْن دفعه ‏۱۳ مارس ۲۰۱۹، ‏۱۲:۲۲ تاریخینده دَییشدیریلمیشدیر.